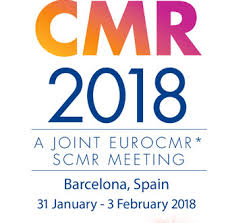 There was a strong SmartHeart presence at CMR 2018 in Barcelona last week. The focus on CMR2018 was on “Improving Clinical Value by Technical Advances”, emphasising the common goal of improving clinical outcomes in cardiovascular disease through innovation in basic MR development and medical engineering. The videos below feature some SmartHeart highlights from CMR 2018. Free-breathing 3D quantitative myocardial T1-mapping allows for volumetric coverage of the heart providing higher signal-to-noise ratio (SNR) and spatial resolution than conventional 2D approaches. Our work looks to improve the precision of the 3D SASHA technique, while keeping its high accuracy, by employing a novel 3D denoising method. This enables 3D SASHA myocardial T1-mapping with high accuracy and high precision comparable to the conventional 2D MOLLI technique, and comes at no additional cost and could ultimately be beneficial to accurately detect and quantify interstitial fibrosis in the myocardium with high spatial resolution. Here, we present a free-breathing 3D whole-heart phase-sensitive inversion recovery (PSIR) sequence suitable for non-contrast enhanced pre-interventional planning, offering simultaneous visualization of the atrial walls as well as of the heart and CS anatomy. Coronary lumen and vessel wall imaging is a powerful tool for the assessment of coronary artery disease (CAD). We propose an interleaved T2prep-IR approach (iT2prep-IR) that: a) improves vessel wall to blood contrast, b) removes the need of weighted subtraction and c) incorporates 2D image-based navigators (iNAV) for 100% scan efficiency. 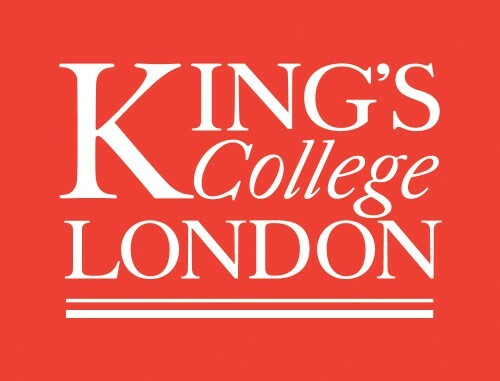 The aim of this study is to accelerate cardiac cine magnetic resonance imaging (MRI) data acquisition by exploiting recurrent neural networks (RNN) for the reconstruction of images from undersampled data. In this work, we created the first HCM-specific bi-ventricular cardiac atlas and demonstrate that a disease specific training set provides improved machine learning analysis of a phenotypically heterogenous population. The creation of this atlas presents the opportunity for statistically powerful, high-fidelity mapping of genotype-phenotype associations in HCM. Automated detection of clinical and genetic effects on three-dimensional cardiac phenotypes using MR imaging and computational modelling. The environmental and genetic determinants of cardiac physiology and function are still largely unexplained. Population-based studies have mainly relied on manually-derived global indices insensitive to regional remodelling. However, advanced cardiac image analysis offers an opportunity to uncover three-dimensional (3D) associations between high-dimensional cardiac traits and given explanatory variables. We propose an automated and powerful approach that is able to detect the regional effects of a given explanatory variable throughout the heart and shows promise for population-based studies of cardiac structure and function. Arterial stiffness is an independent predictor of cardiovascular morbidity and mortality. Aortic Distensibility (AoD), which measures stiffness, can be calculated using semi-automated methods to segment the aortic lumen on cine CMR. However, these methods require visual quality control and manual localization of the region of interest (ROI) of ascending (AA) and proximal descending (PDA) aorta, which limit AoD analysis in largescale population-based studies such as UK Biobank. This study sought to develop and validate a fully automated method to 1) detect and locate the ROIs of AA and PDA, and 2) provide a quality control mechanism.